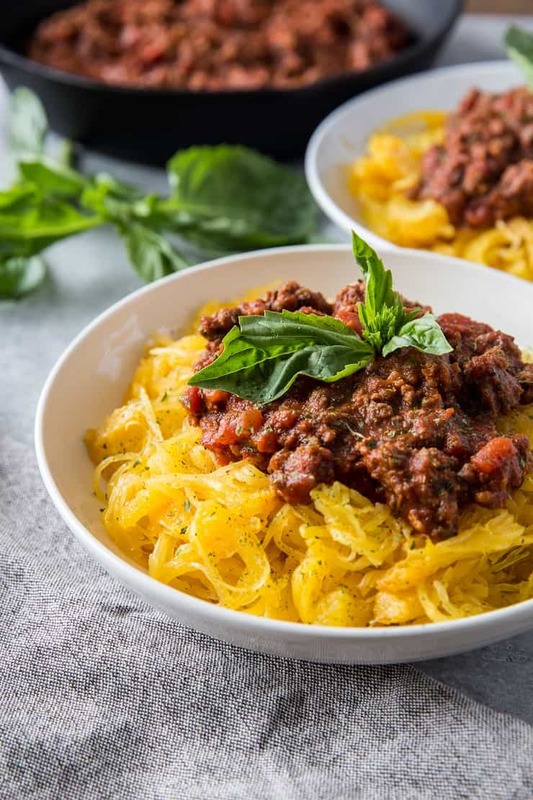 Easy, comforting spaghetti squash bolognese made with straight-forward, simple ingredients. This gem of a dinner is perfect for meal prepping and also easy to throw together any night of the week. 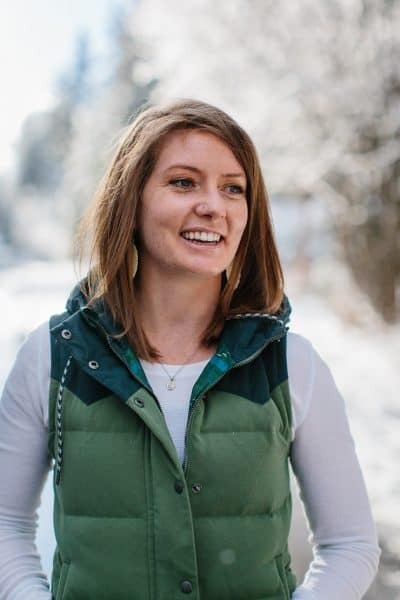 This post is sponsored by Thrive® Culinary Algae Oil. You’re looking at one of my favorite dinner staples. 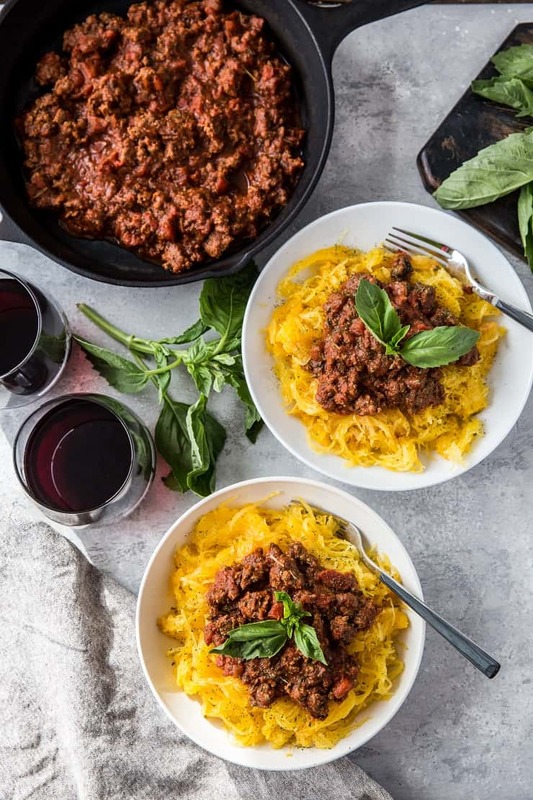 This Spaghetti Squash Bolognese is my go-to when I’m craving something Italian-inspired – that tomatoey, herby, meaty, saucy, comforting essence that cannot be satisfied in any other way! The best part? It’s so easy to make! 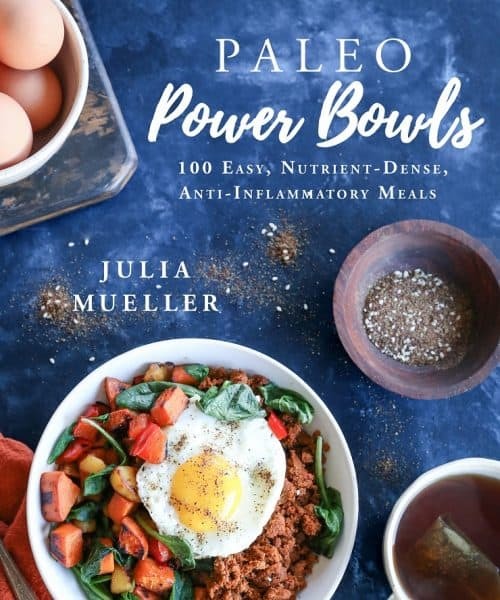 Not to mention, this meal is clean, nutritious, and happens to include heart-healthy ingredients, great overall for your body. February is Heart Health Month, so in honor of supporting the wellness of our heart organs, I thought I would share a heart-healthy recipe. Some heart-healthy foods are omega-3 and omega-9 fats, berries, red wine, leafy greens, tomatoes, and chocolate, and more! 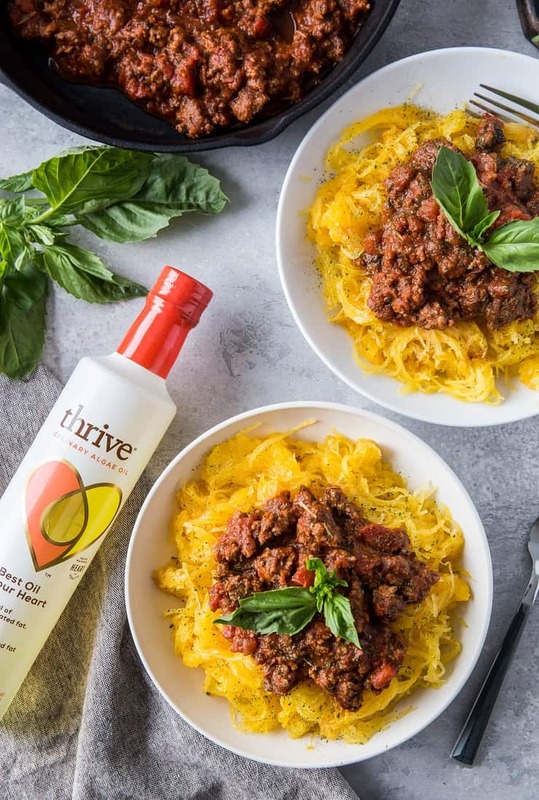 I use Thrive Algae Oil to roast the spaghetti squash and to prepare the Bolognese sauce for this recipe. Keeping your heart in mind, algae oil is a great source of monounsaturated fats. In fact, algae oil is higher in monounsaturated fat than any other oil and it contains the lowest percentage of saturated fat. And Thrive has a deliciously light, neutral taste that enhances your other ingredients, so you don’t need to compromise flavor for nutrition. The smoke point of algae oil is up to 485 degrees F, which makes it ideal for this application. We’re roasting a spaghetti squash at 415 degrees F and sautéing at a high temperature, which means using a high-temperature cooking oil is the wisest route to ensure the oil does not burn and become toxic. 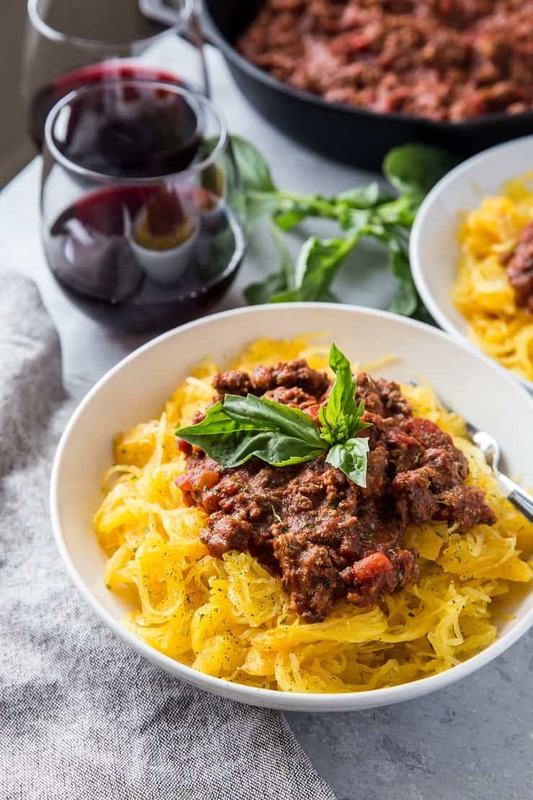 This simple recipe only requires two basic steps: roasting the spaghetti squash and preparing the Bolognese sauce. I’m willing to bet you already have most of the ingredients for this recipe in your pantry, making it an easy meal to whip up any night of the week! Replace the ground beef with ground turkey, pork, or chicken. For those of you who eat dairy, serve the meal with grated parmesan cheese. 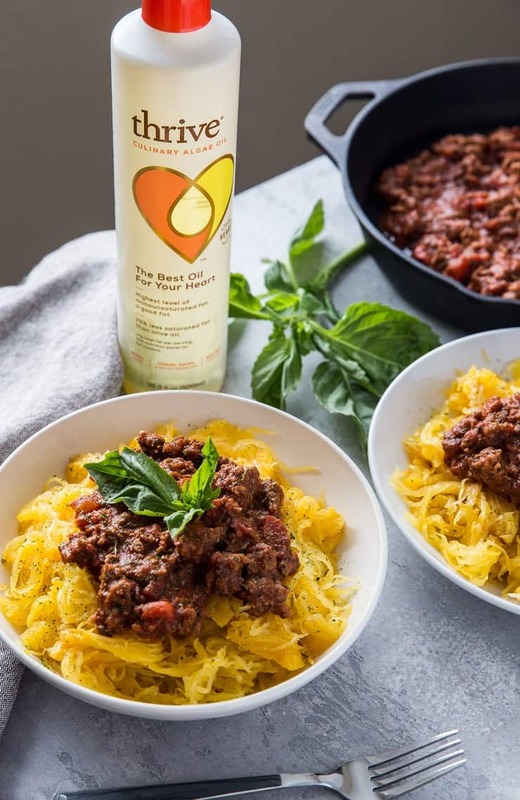 Prefer gluten-free noodles over spaghetti squash? Go for it! Make the recipe Low-FODMAP by omitting the onion and garlic. 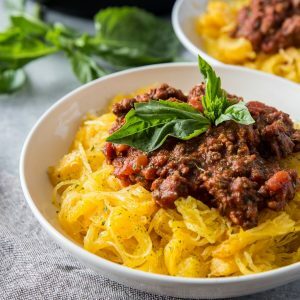 The way I see it, this spaghetti squash bolognese is a great meal prep recipe (hint: the bolognese sauce becomes even more flavorful the longer it sits in the refrigerator! ), easy to make on any given weeknight, and is snazzy enough for date night. Looking for a clean yet romantic dinner for Valentine’s Day? This fits the bill! Preheat the oven to 415 degrees F. Cut the tip and tail off the spaghetti squash and use a metal spoon to scoop out the seeds and innards. Drizzle the flesh with algae oil and sprinkle with sea salt. Place squash on a baking sheet cut-side down, and roast 45 to 50 minutes, or until very tender. Remove from oven and allow squash to cool enough to handle. Use a fork to release the spaghetti squash strands and transfer to 2 to 4 bowls. While the squash is roasting, make the bolognese. Heat the algae oil in a large skillet over medium heat. Add the onion and sauté, stirring occasionally, until onion is translucent, about 8 minutes. Add the garlic and herbs (oregano through cayenne) and continue sautéing another 3 minutes. Scoot the onions off to the side and add the ground beef. Allow the beef to brown without touching it for 3 minutes. Flip and continue browning another 3 minutes. Use a spatula to chop up the meat and stir everything together. Don’t cook the meat all the way through just yet. Add the sea salt, crushed tomatoes, tomato paste and pure maple syrup (if using) and stir well. Bring sauce to a full boil, then reduce to a simmer. Cook sauce at a gentle bubble, stirring occasionally for 30 minutes (up to 1 hour). Taste sauce for flavor and add more sea salt to taste. Serve over spaghetti squash with fresh basil. *Roast 2 spaghetti squashes if you're serving more than 4 people. Do you have IP directions? Hi! Watched you kale and garlic with walnuts on the spaghetti squash video. Suggest you try collared greens. They actually have more nutrients than Kale, and a refreshing change of pace and taste with many recipes. Good for calcium and IRON which is so needed. Your recipe looks YUM will try it. And going for the bolognese tonight! That’s great advice! Hope you enjoy, Lorrie!